You know what happens here every Friday, right? A children's literature advocate drops by to finish my sentences. 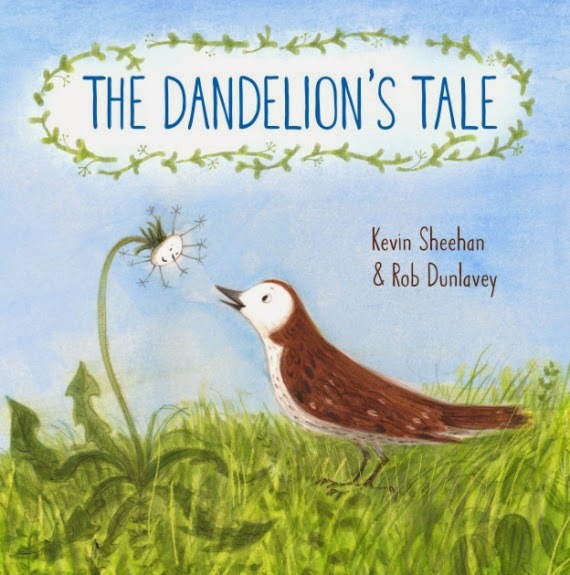 This week's special guest is Kevin Sheehan, the author of The Dandelion's Tale. 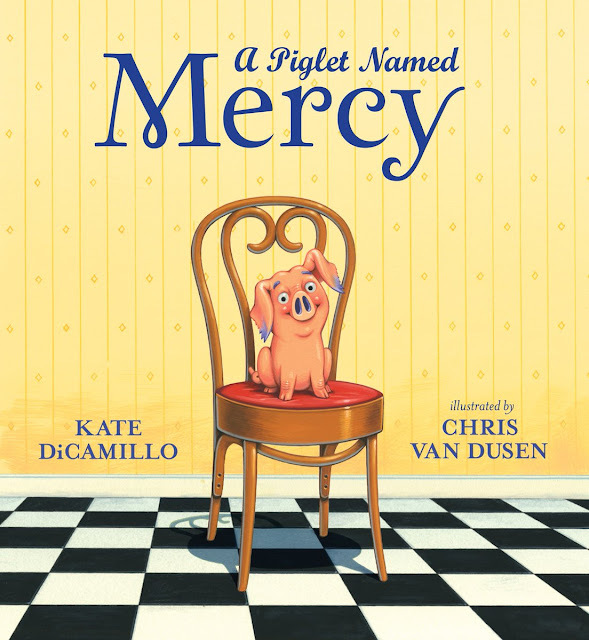 We chatted about Rob Dunlavey's illustrations, school libraries, picture books, and reading. I wrote the words in red, and he wrote the words in black. Thank you, Rob! 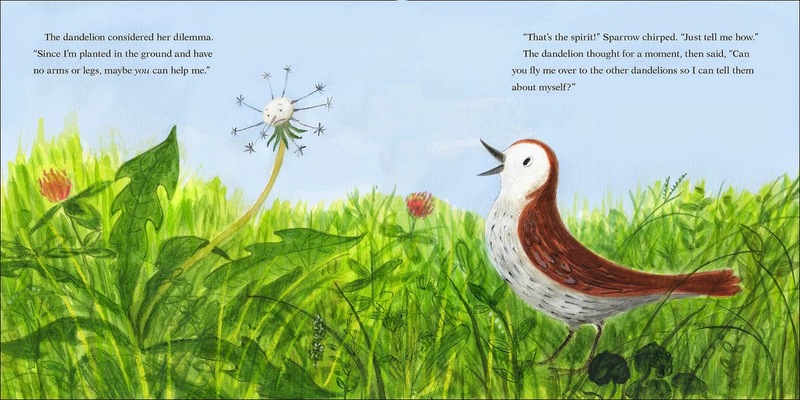 The Dandelion’s Tale tells the story of a puffy, white dandelion who is worried that once her remaining seed pods blow away, no one will be left to remember her. A passing sparrow hears her cries and befriends the tiny flower. As she tells the sparrow her life's story, her new friend writes it all in a dry patch of dirt so it can be read over and over. It's tale of friendship and the cycle of life, as the dandelion's tale is passed on to the next generation of bright, young dandelions that grow in the meadow. Rob Dunlavey’s illustrations are simply perfect. His beautiful artwork really captures the heart and soul of the story and are far more than I could have ever expected. When Schwartz & Wade made their offer, I had a mental image of what I felt the illustrations should look like. When I was growing up, I was a huge fan of the little Golden Books. I didnt' know Rob and we had no interaction, so I was both curious and nervous while I waited for his final product. I almost fell off my chair when I saw the first set of proofs. It was exactly, and I make no exaggeration here, the way I pictured and hoped it to be. A lot of parents will get nostalgic when they see it for themselves. Sparrow and Dandelion are very much like small children in their way to meet and become instant friends. I wrote The Dandelion's Tale when my daughters were younger. I used to marvel at how easily they became 'best friends' with every child they met in the park or store or just walking around. At that age, they were so open and unafraid and just wanted to have fun. If adults could be the same way, the world would be a much happier place. 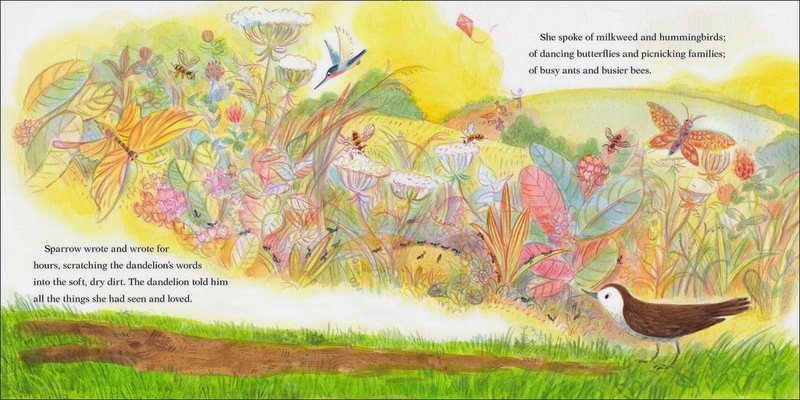 When I do story time now, my daughters, who are teens, portray the dandelion and the sparrow. Sharing this story with them has been the most satisfying part of the whole publication process. School libraries are an essential part of every child's education and development. I learned so much from the books I checked out over the years and I’m especially grateful to all of the librarians who helped a little voracious reader expand his interests. Going down to the library was always the highlight of my week in school (next to lunch and punchball games at recess!). That’s where my love of books really blossomed. I wouldn’t be a writer today if I hadn’t gotten that initial exposure to books in my school library. Picture books are everlasting. We all have our favorites from our childhood and if we close our eyes, we can recall every image, recite every word. They teach, entertain, bring out our emotions and in a way, become our friends. Because of their impact, they are very difficult to write. Every word has weight and has to mean something and move the story forward. This being my first picture book, I was astounded by the care and precision that goes into getting a manuscript in tip-top shape. Thankfully, I have a great editor in Anne Schwartz who gave me sage advice and invaluable guidance every step of the way. Reading is the best addiction a person can have. I don’t know what I would do without my books. Watching more television is not an attractive option. Although I could spend more time working on my curveball and see if the Mets could use a middle-aged rookie pitcher. Mr. Schu, you should have asked me what my favorite picture book of all time is. 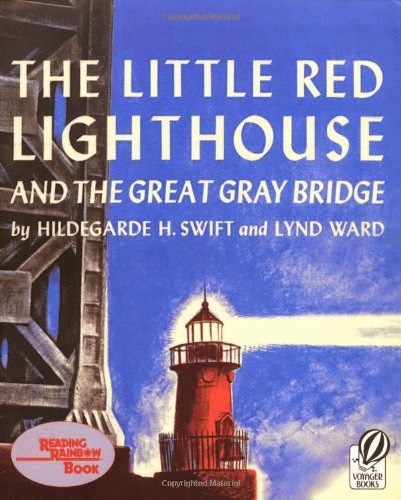 The Little Red Lighthouse and the Great Gray Bridge by Hildegarde Swift is the first picture book I remember treasuring when I was in first grade. It also came with a floppy record that read the story to me and had all kinds of sound effects and music. I would read that book and play the record multiple times a day. The best part was learning that it was based on an actual little red lighthouse under the George Washington Bridge. It’s only 10 minutes from my house. Whenever I see it, I feel like a kid again. I am giving away one copy of The Dandelion's Tale. Borrow The Dandelion's Tale from your school or public library. Whenever possible, please support independent bookshops.